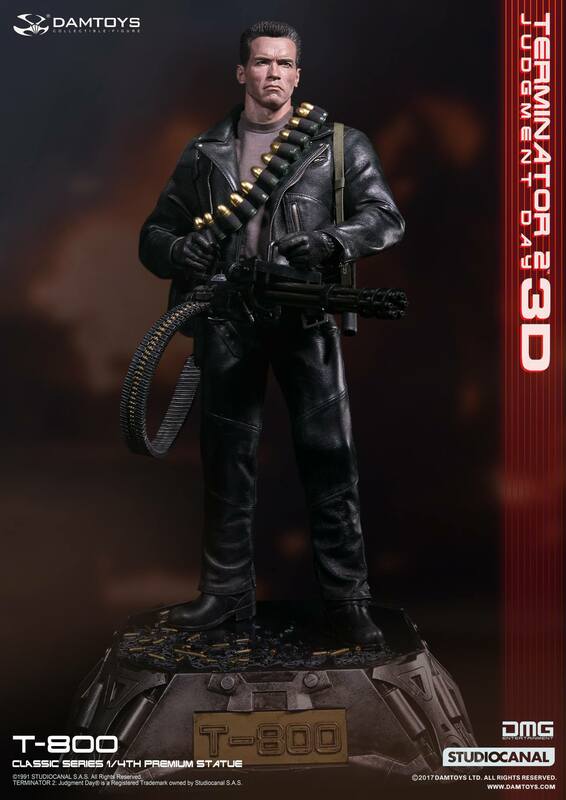 New “TERMINATOR 2: JUDGMENT DAY 3D” T-800 Statue is coming! He’s back and looking glorious! DAMTOYS has just announced a new authorized 1/4th T-800 scale figure to their Classic Series line! 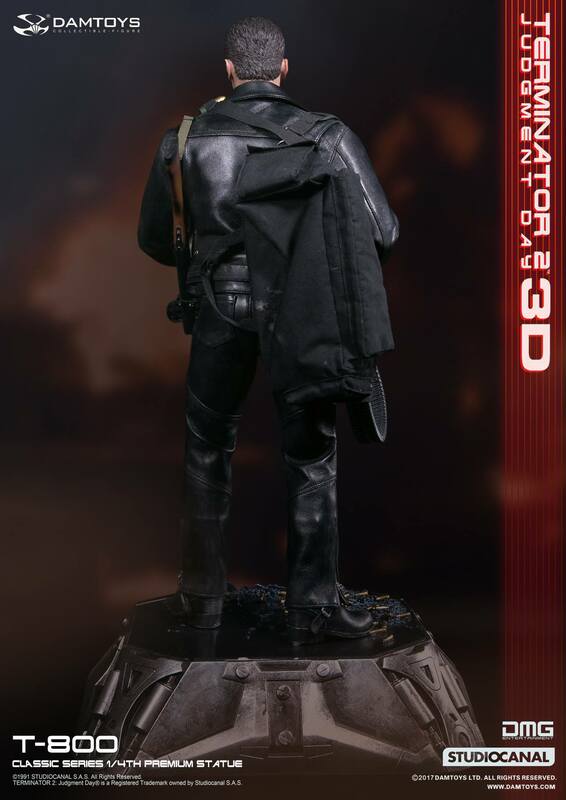 Timed with this year’s anticipated release of “Terminator 2: Judgment Day 3D”, this new Model 101 premium statue will have you saying “Wait here, I’ll be back” to your collectible shelf again and again. 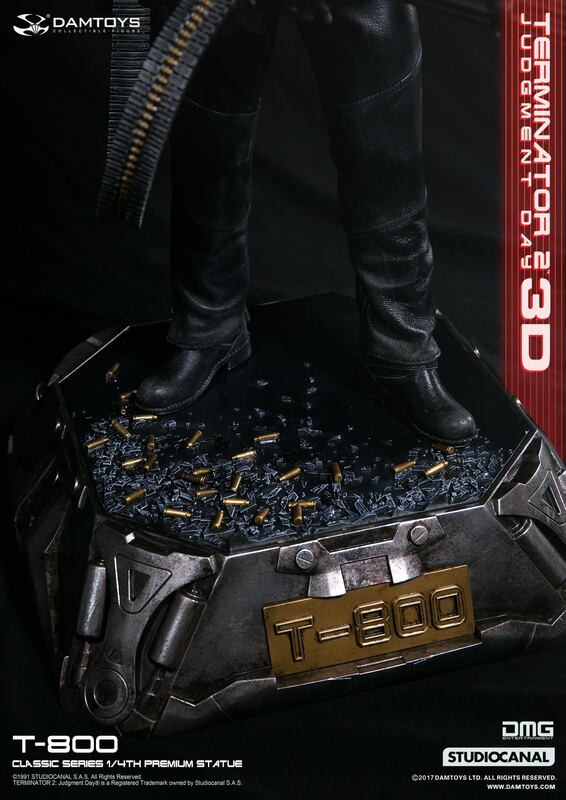 Said to be designed by the top people at DAMTOYS, this 1/4 scale T-800 statue (they do not refer to it as a “figure”) will feature premium accessories like a recreation of the T-800’s black leather outfit made with high quality sheepskin! It will also be adorned with real functional metal zippers and rivets. 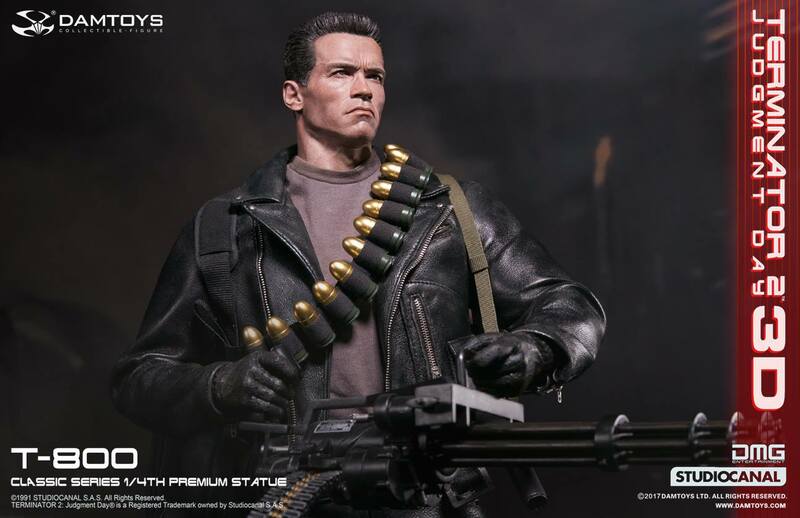 The T-800 will also be equipped with a high detailed M134 Minigun, and a M76 Grenade Launcher with detachable grenades, ready for his assault on Cyberdyne! One of the coolest features of this premium collectible is the base! Check out all those expelled bullet shells! 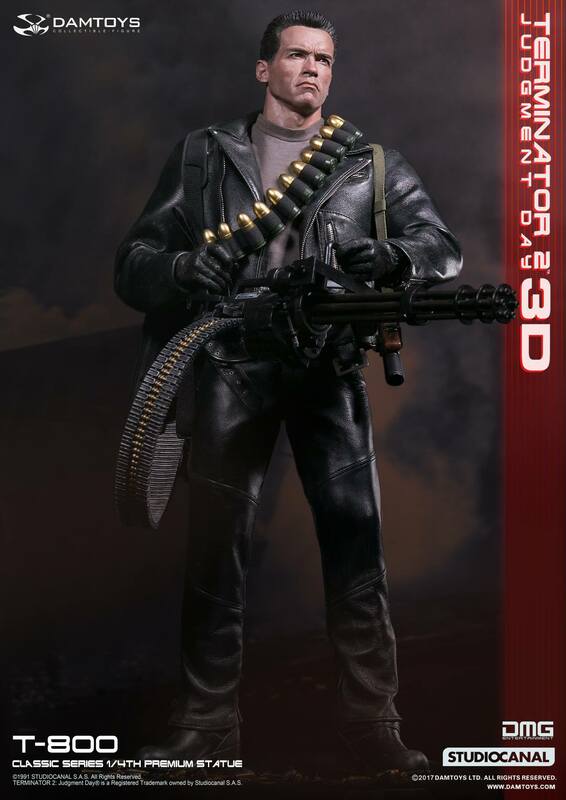 This 1/4th scale “Terminator 2: Judgment Day 3D” T-800 is slated for release in the fourth quarter of 2017 (OCT – DEC) just in time for the holidays. The reported suggested retail price will be $450 U.S.. 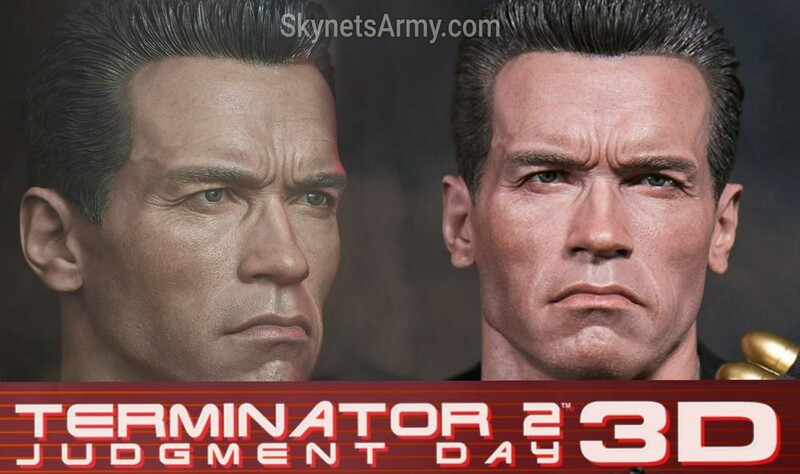 Previous Post“TERMINATOR 2: JUDGMENT DAY 3D” is coming to Cinemas in CANADA this August 2017!Next Post“TERMINATOR 2: JUDGMENT DAY 3D” is coming to Theaters in IRELAND! Many companies made uber-real Terminator figure before. 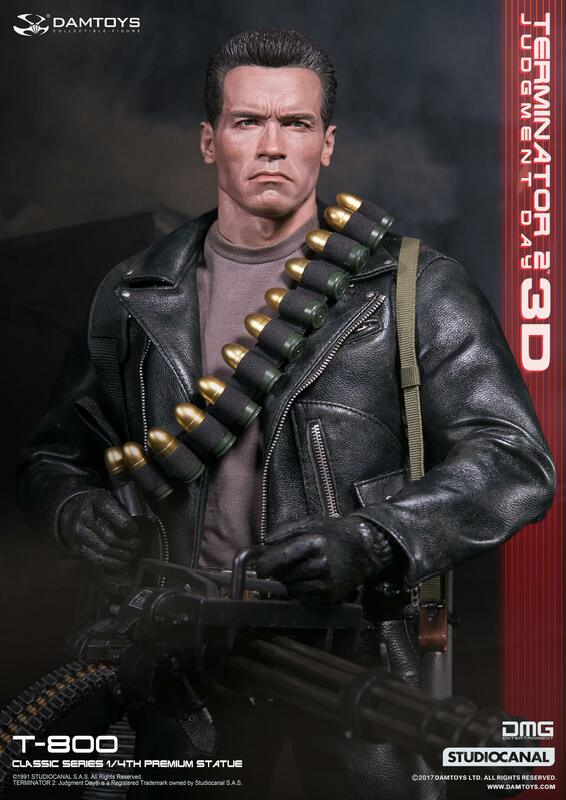 With one of these you can make customized Terminator scene!